Alhamdulillah, this is our first time delivered this talk together in Malaysia. Before this, while we were in UK, we delivered similar talk twice, one in Leeds, organized by Leeds University Malaysian Student Society (LUMSOC), and another one we shared this talk for our Nottingham friends and juniors, at the place somewhere in the forest, which we could not exactly recall what is the name of it. However for this time around, it is much more formal, jointly organized by SRCUTP, Helwi and One Quest UTP, in conjunction with Eve Convention. How did they know about us? ~ Love is not solely about emotion but it is about effort and responsibility of the person involved in that love. it is more than just a LOVE. ~ We have to know how to differentiate between LOVE, LIKE and LUST. If you cannot control the desire, it will lead to lust. ~ Falling in love is not Haram but it will become so for the lust prior to marriage. ~ It is important for people to know their own personality in order to make it easier in finding the type of partners that suit them the most. ~ Love someone because of Allah, InshaaAllah the love will last long. ~ True love need sacrifices, efforts, and full understanding of both partners. ~ Avoid conflicts by working out differences, do not run from the problems and understand partner’s personality again. ~ Marriage because of Allah will brings you Sakinah (tranquility), Mawaddah (Inside out) and Rahmah (Mercy from Allah). 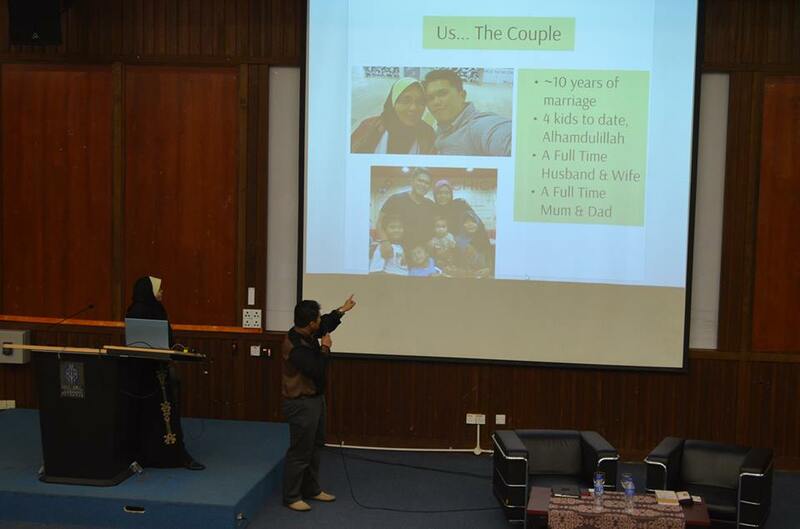 Alhamdulillah, we’re happy that the audiences enjoyed our talk. Feel free to contact us at 013-4355007 or 019-5568007, if you’re interested for us to deliver this session, as Insha Allah we can tailor made this program to fit for one day or half day program. The prezi link is meant for share. Sharing is caring. And all of these, are Allah’s knowledge, and none belong to us. Insha Allah if there was any recording done, we’ll share it here.